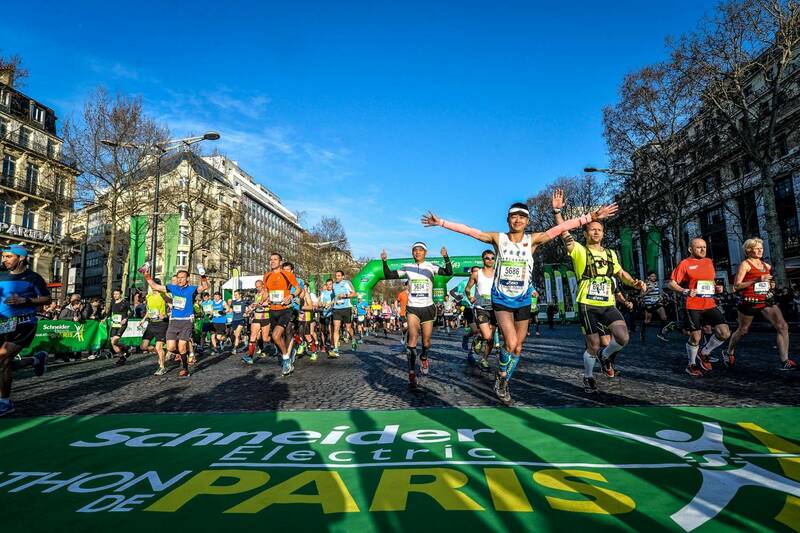 Ethiopia’s Abrha Milaw and Gelete Burka prevailed at the Schneider Electric Paris Marathon, anIAAF Gold Labelroad race, whose 43rd edition took place on Sunday (14). With his victory, Milaw put an end to Paul Lonyangata’s dominance in Paris, the 26-year-old Kenyan who was looking for a third successive victory in the French capital, a would-be record. Lonyangata had picked up a slight injury last week when he slipped and fell in training, but it wasn’t a big enough setback to keep him from the start line. A small group of four runners, composed of three pacemakers and Milaw, reached five kilometres in 14:50, five seconds ahead of a pack of about 10 which included Lonyangata and others favourites. Then, the chase group joined the four leaders, upping the rhythm. Spearheaded by Kenya’s Cosmas Lagat, the lead pack hit the 10km checkpoint in 29:31, before reaching the 15km mark in 44:23. 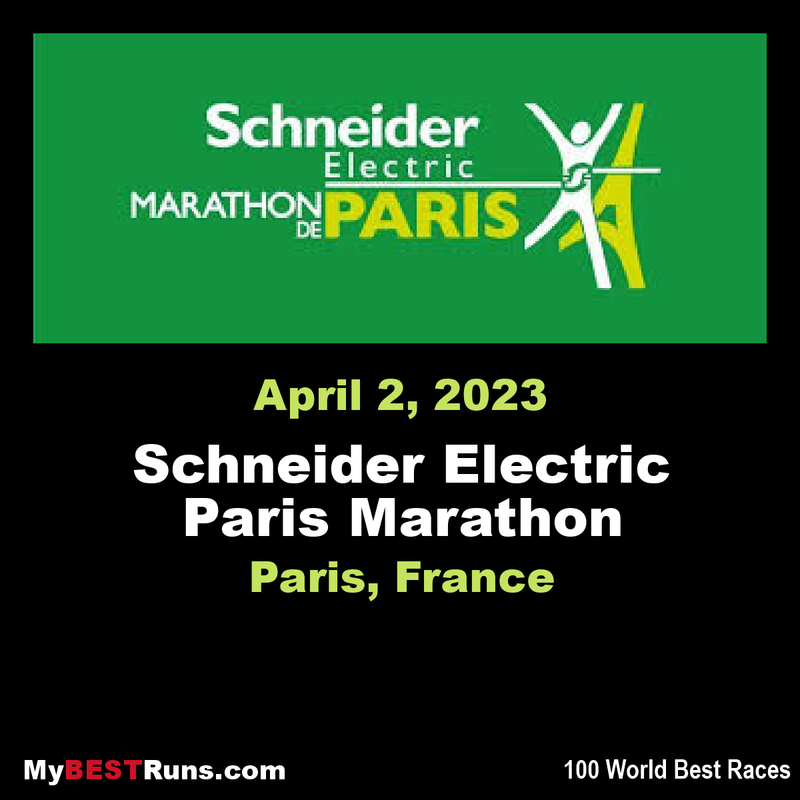 Ten men reached the halfway point in 1:02:15, suggesting a possible finish time of 2:04:30, well under the course record of 2:05:03 set by Kenenisa Bekele in 2014. Lonyangata then made his first move to test his opponents before falling back into the fold. The lead group reached 30km in 1:29:34, when pacemaker Cosmas Lagat dropped off. That left Milaw, Lonyangata, Morris Gachaga, Yitayal Atnafu, Asefa Mengistu (the fastest man of the field courtesy of a 2:04:06 PB), Barselius Kipyego and Polat Arika still in contention for the victory. Much like a track cycling contest, the race became tactical with the leaders watching each other while shifting gears several times. But overall, the lead pack slowed, covering the 5km section between the 30 and 35 km markers in 15:45, the slowest split of the race. The women’s race was as fierce as expected. The lead pack of a dozen passed the opening 5km in 17:30, suggesting a finish time of about 2:27:00. The group then ramped up the pace, covering the next 5km stretch in 16:40 to reach 10 kilometres in 34:13. Six women remained in contention for the victory at the halfway point, hit in 1:11:08. Soon after the 30km point, Kenyan Sally Chepyego made a move that broke up the field behind her. Only the Ethiopian trio of Burka, Gebru and Azmera Abreha were able to sustain her relentless pace. The foursome hit the 35km checkpoint in 1:57:52, 30 seconds ahead of Clémence Calvin of France and 56 seconds ahead of Betty Lempus. Chepyego still led the pack in the waning stages, but continually shadowed by Burka, Gebru and Arebha. But Chepyego eventually faded while Burka, the 2008 world indoor 1500m champion, launched a furious attack in the final kilometre. Gebru followed suit, but couldn’t maintain contact as the finish line came into view. Burka, who was the fastest woman the field, lived up to her favourite’s role to capture her second marathon victory in 2:22:47. Grebu finished five seconds in arrears as Abreha came home third in 2:23:35, six seconds ahead of Calvin.